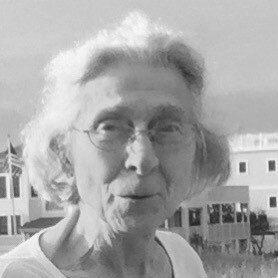 Obituary for Carolyn M. (Gazzolo) Chehy | Magner Funeral Home, Inc.
Carolyn M. Chehy, 86 of Warwick, Rhode Island passed peacefully April 15, 2019. Born May 13, 1932, daughter of the late Carolina and Andrew Gazzolo and wife of her late husband, Joseph Chehy of 57 years. After graduating from South Norwalk High, Mae earned degrees at the Danbury State Teachers College and West Chester State College, bringing her talents of song playing the piano, viola and violin. After college, she taught music in the North Haven school district working with elementary children. Mae continued to work after having children, punching Braille for the New York State School for the Blind. She is survived by her loving children; Susan Miklos (husband Raymond, Jr.) of Madison, CT and Joseph Chehy, Jr., of Warwick, RI, loving and devoted grandmother to Dr. Kristen Pontiff (husband Dr. Kyle Pontiff), Retired Sergeant Joseph Buttafuoco, Raymond Miklos III, Specialist Joseph W. Chehy III, and her most precious great-grandson Henry Joseph. She leaves behind a large family of many cousins, nieces and nephews. Family will receive friends on Friday, April 19, 2019 from 4 to 8 PM at the Magner Funeral Home, 12 Mott Ave, Norwalk, CT. Funeral Services officiated at 9 AM on Saturday, April 20 at the funeral home. Burial will follow at Sleepy Hollow Cemetery, Tarrytown, NY. Memorial donations may be made to: St. Jude Children’s Hospital, Memphis, TN.